Looking back to looking forward ... The early years of ASSBI owe a significant debt to the leadership of the foundation President Dr Kevin Walsh, who is fondly and rightfully acknowledged as the founding father of Australian neuropsychology. ASSBI has a number of committees that work tirelessly to bring you the latest developments on brain impairment. 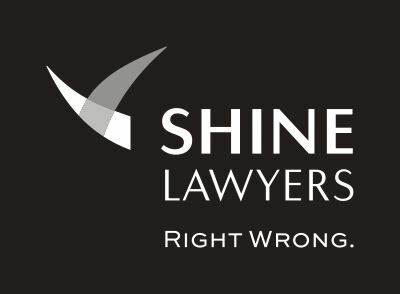 ASSBI would like to thank Shine Lawyers for their ongoing support of your Society as our Corporate Partners and our myriad of conference partners who help keep the cost of attending an ASSBI conference affordable. In July 2015 Shine Lawyers exhibited at the INS/ASSBI 5th Pacific Rim Conference and in 2016 became ASSBI’s first Corporate Partner. In 2017 Shine Lawyers signed up for a further 2 years. In the three years that Shine Lawyers have been partnered with ASSBI we have offered four joint workshops on Capacity Assessment and Guardianship, four Medico-Legal Workshops and four Workshops on the NDIS. Shine Lawyers have also co-sponsored the Early Career Clinical Innovation Award which has been presented at the last 3 conferences. If you are interested in becoming a partner of ASSBI please contact our Chief Executive Officer Margaret. ASSBI offer a number of Awards and Grants to their members. The ASSBI Early Career Clinical Innovation Award is designed to recognise innovation in the field of brain impairment consistent with our mission to improve the lives of individuals and families affected by progressive and non-progressive neurological conditions across the lifespan and is co-sponsored by Shine Lawyers. Click here for more information and here for an application form for 2019. Applications close on 1st January 2019.